Satish Kargutkar is an accomplished and creative makeup artist with experience in all aspects of media makeup, fashion, video and print.His training and education, along with his affable personality provides his clients with a dependable, detail-oriented, and multi-faceted professional to add to the success of the creative team of any project, within the production budget and schedule, regardless of the nature, scope or location. The diverse background and experience creates a unique style accredited only to his artistic talent. He has the innate ability to bring out the natural beauty of his subject, no matter the gender, ethnicity or character portrayal. Whether his responsibilities takes him on location to a motion picture set, television studio, video session or to a photographic makeup shoot for a catalogue, Satish displays his mastery for creating the right look, a “flawless on film” look, whether by artistry techniques, beautiful skin tones, breath-taking shading or coordinating exquisite colors always with the needs, goals and objective of the project foremost in her presentation. Satish is available to travel on location, and welcomes you to view a portfolio of some of his work. We believe your hair and makeup should fit the entire “feel” of your wedding and compliment you, . 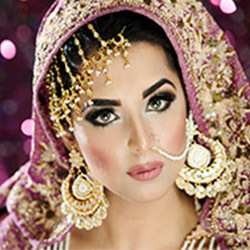 Being the preferred makeup artist to many top industry professionals and countless brides. Satish provides a premium, personable experience leaving you confident, in fact you look better than ever imagined. 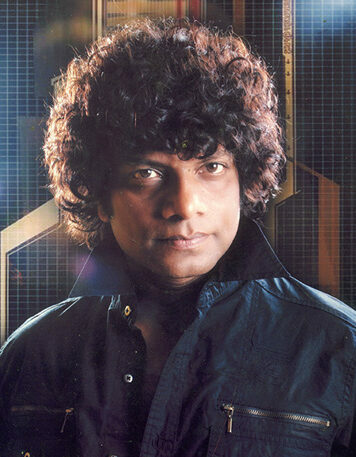 Satish understands the need to look flawless, and natural when to comes to TV and Films makeup. Be it mythological series, daily soaps or high end Movie makeup, his knowledge of people & their social culture make his art linked to the story. Be it for a Fashion Magazine or Fashion Runway, Satish has the right skills to transform your everyday look into a high end compelling fashion model. His understanding of products and versatility in techniques make him a expert in his domain. Makeup required for Anchoring is a whole new agenda where it needs to last for long hours under harsh lighting conditions. Satish interprets this beautifully with makeup, in his unique talented in revealing and complementing the features of the model with its skilfull techniques.